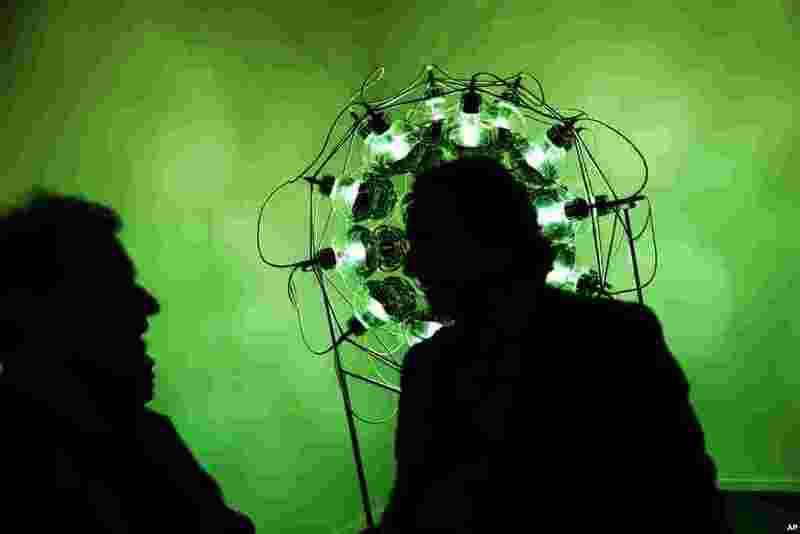 5 Visitors talk with a staff member at the ARCO International Art Fair in Madrid, Spain, Feb. 22, 2017. ARCO runs from Feb. 22 to Feb. 26. 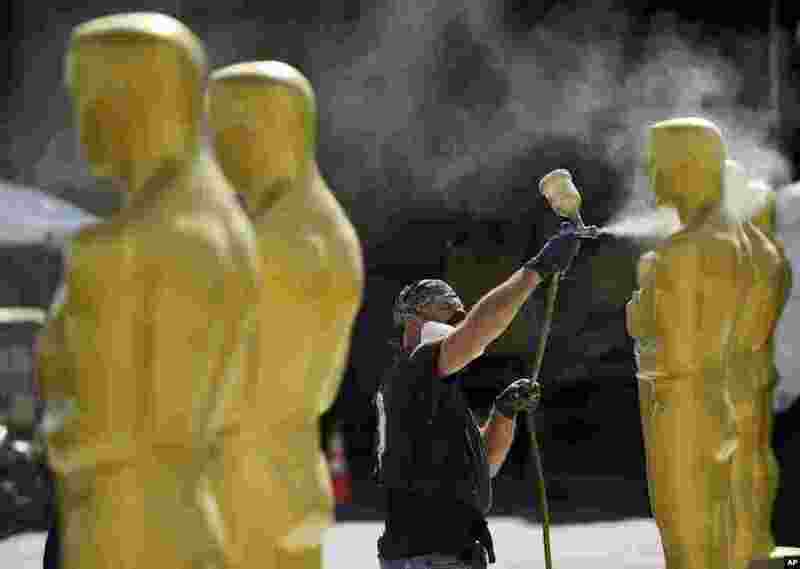 6 Scenic artist Rick Roberts of Local 800 paints Oscar statues for Sunday's 89th Academy Awards red carpet, near the Dolby Theatre in Los Angeles, California, Feb. 22, 2017. 7 An Indian Hindu man dressed as Lord Shiva holds a lit candle in his mouth in a religious procession ahead of the Maha Shivratri Festival in Jalandhar, Feb. 22, 2017. 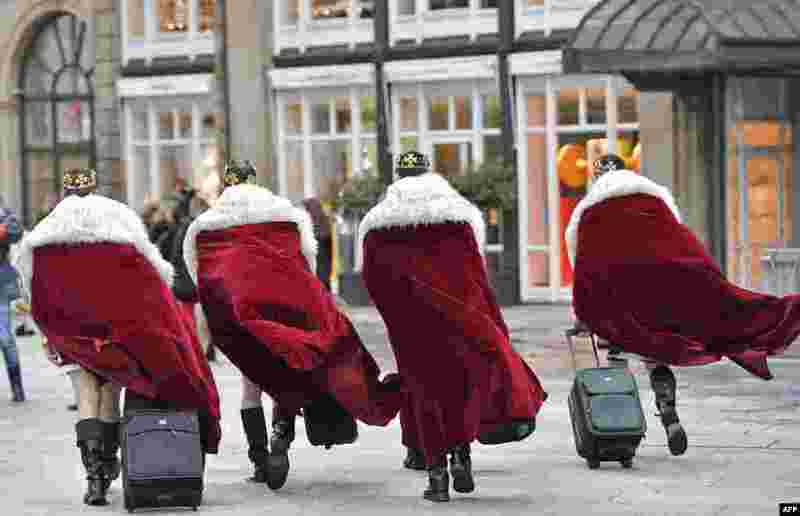 8 Four men dressed as kings arrive at the city center where tens of thousands revelers will celebrate the start of the street-carnival in Cologne, Germany.